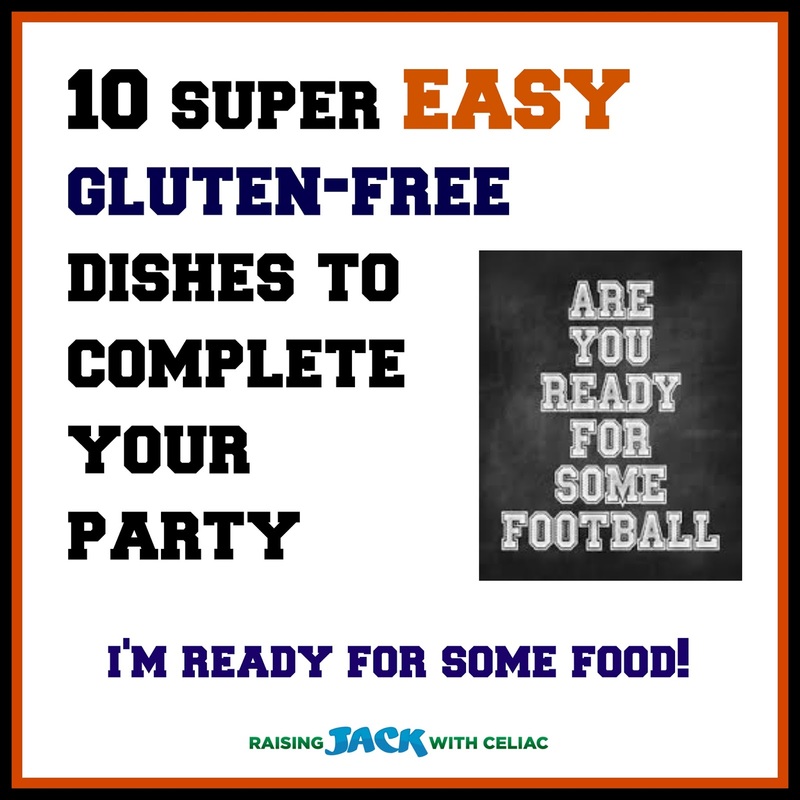 So let's dive into these dishes below to help make your Super Bowl party a gluten-free success. 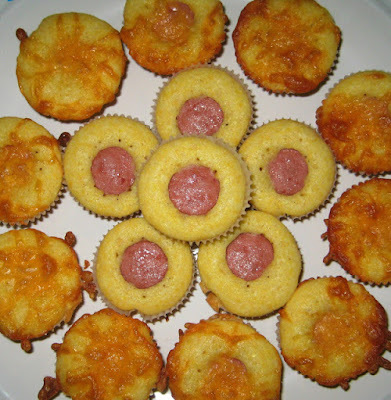 These are EASY, DELICIOUS AND EVERYONE WILL ENJOY THEM! 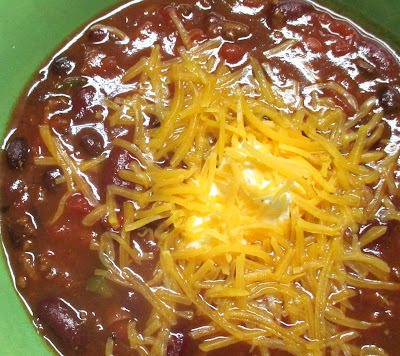 1) Chili - Main Dish (toppings - Fritos, shredded cheese, sour cream, green onion) - you can have cute football bowls or decorative paper bowls. It's so easy! All in a large slow cooker. 2) Mini Football Pizza Cut-Outs (Great for the kids) I use the Kinnkinnick Pizza Crusts - as it's a thicker crust. 7) Deviled Eggs (I made these for the first time ever. Deviled eggs filling: Mayo, a bit of mustard and a splash of Sweet Gherkins pickle juice - BOOM, you got yourself some deviled eggs. 10) Assorted GF Cookies and Brownies (shaped like football helmets or footballs) - there are football cookie cutters - I think brownies would be the easy and a big hit! BOOM! Wasn't that easy?! 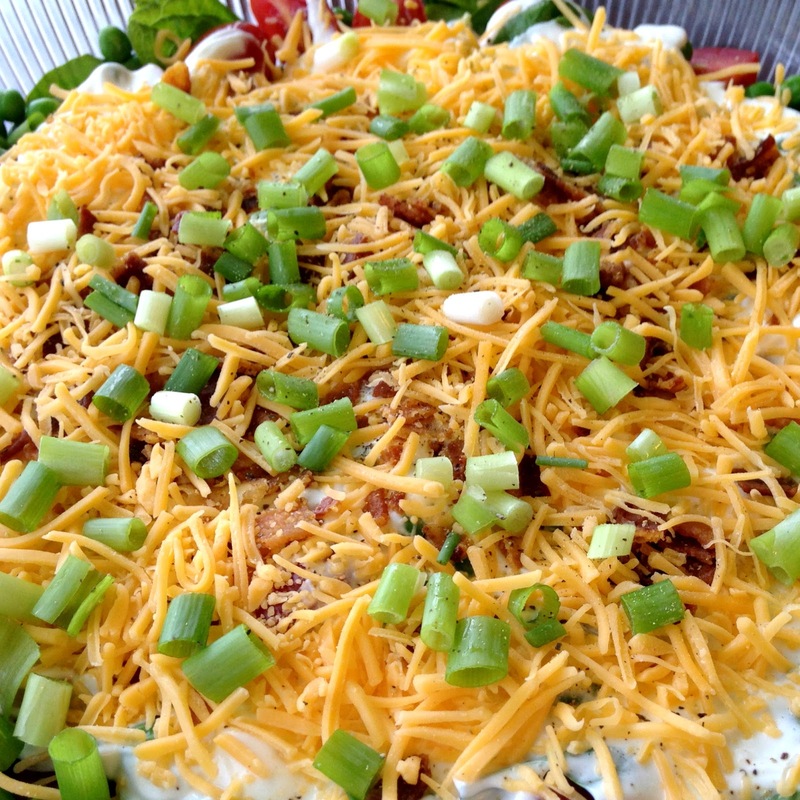 A main dish, which is chili, accompanied by corn dog muffins, pizza cut-outs for the kiddos, 7 layer salad, a couple of awesome dips, veggies, deviled eggs, fruit kabobs and brownies/cookies. Mix Cream cheese and taco seasoning, spread on serving platter. Refrigerate several hours before or until chilled. This dish would be great to make the night before the party. In a clear glass bowl, layer salad ingredients in the order they appear above, concentrating ingredients around the perimeter of the bowl and filling in the center with lettuce, if needed. End with the layer of peas. Combine dressing ingredients in a separate bowl and mix well. Pour over the top of the peas and spread to cover, bringing dressing all the way out to the edges of the bowl. Sprinkle with fresh dill. 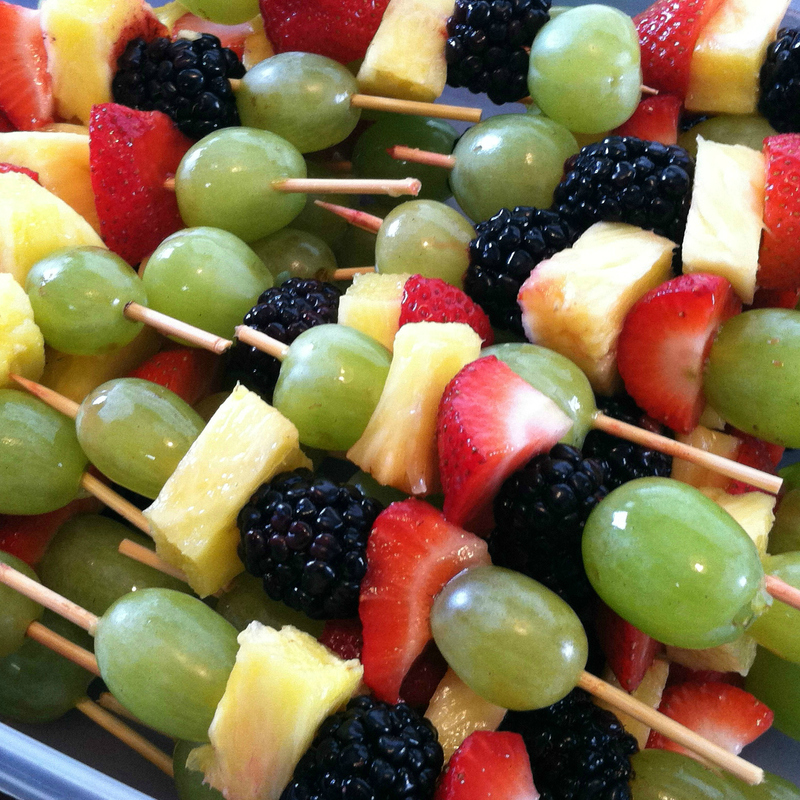 Cover and refrigerate for up to 8 hours. Toss just before serving. 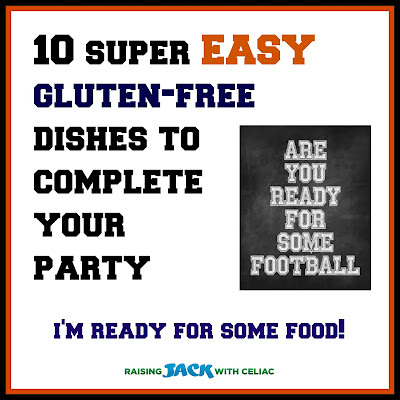 Great super bowl pick and even better recipes! I've been a Peyton Manning fan ever since I first started watching football. Go Broncos! What cream cheese do you use that is GF and safe from cross contamination?